We think it's okay to talk about the Yankees, and only the Yankees, for the next month or so. Contrary to popular opinion, World Series victories don't come along often, and should be appreciated individually, rather than just as some sort of dynastic pattern. So make it a weekend-long celebration. Why not? What, you're gonna watch the Knicks? Here are things that happened this week, most of which involve the Yankees winning the World Series. Johnny Damon was smart (and fast). The Knicks were surprisingly victorious. 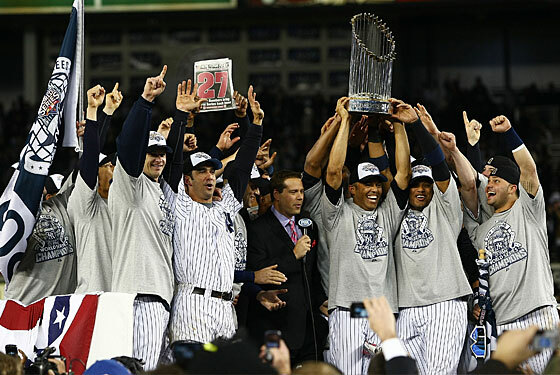 Oh, and the Yankees won the World Series. Top that, Next Week! We'll see you then.